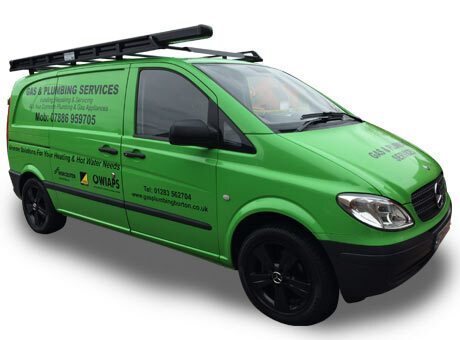 Gas & Plumbing Services is a business located in Burton Upon Trent, East Midlands. 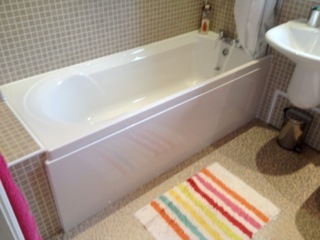 I pride myself on good time keeping, fair pricing and an excellent service for all your plumbing and heating needs. In the unlikely even I can't answer, please leave a message or send me a text message with your problem and I will respond as quickly as possible. All gas appliances in the home should be serviced regularly to ensure its safe and efficient use. Gas (Installation & Use) Regulations 1998 and appliance manufacturers recommend gas appliances to be serviced every 12 months. If your boiler, fire or cooker breaks down give GAP services a call and we promise not to charge if the appliance fault is not rectified. Whether is a complete new heating installation, a boiler swap or just adding a few more radiators to an existing system, GAP services always offer a excellent service at competitive prices. From a tap washer to a complete plumbing installation, GAP services guarantee all plumbing work undertaken. There are many installations that are not efficiently controlled by room thermostats, timer clocks, hot water temperature control or even the correct amount of pipe insulation. Completing some simple cost effective measures could save £££’s on future gas bills. Landlords are reminded that your rented properties must have a current 'landlord gas safety check' within 12 months of the previous check, as stated in the Gas (Installation & Use) Regulations 1998. Don’t delay, give GAP services a call and book your gas safety check. In this day and age it makes good financial sense to get a few quotes before making a decision on what to go for! Give GAP services a call and we will come and give you free advice on what would work best for you and a free written quotation to help you make the right choice. GAP services prides it’s self on fast effective service. Let’s face it if you're ringing because your boiler has broke down or your radiator has sprung a leak it’s a priority to get the problem fixed, GAP services ensure all emergency call outs are dealt with promptly. As part of the renovation of our present home Carlton installed a completely new gas central heating system for us. Carlton worked with us helping us meet some difficult timescales. 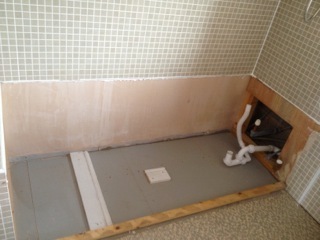 The installation was carried out safely and efficiently. 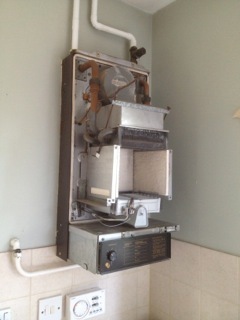 Carlton has recently carried out the yearly service of our gas boiler. This was carried out promptly, courteously and competently. We have always received excellent service and I would highly recommend him to family and friends. We called Carlton up after our boiler failed a couples of days after being serviced. We lost confidence with our current engineer and called Carlton asking for help. He was able to assess the damage and showed us all the alternatives. It was clear at that stage that we needed an new boiler as the unit was too far gone (we could see that) and he recommended an alternative. 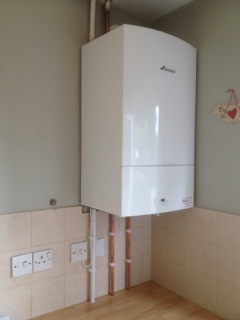 The new boiler has now been installed for sometime and we really couldn\\\'t be happier. I can\\\'t recommend him enough. I was thoroughly impressed with all aspects of the service I received when I contacted Carlton regarding a boiler service & repair. 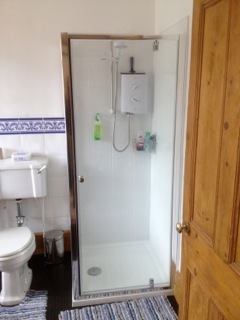 He was friendly whilst remaining professional, the job was completed quickly & thoroughly at an exceedingly good price. I had an issue with the boiler after the service was completed & Carlton came round quickly to look at this. He went away to try to find a part & to my surprise was able to come back on the same day to fix the issue without any further charge. It is hard to find good, reliable, honest & fairly priced tradesmen these days so I am absolutely delighted to have found Carlton. I would have no hesitation to recommend him to anyone even my worst enemy! I will certainly be responding to my reminder next year for an annual service for my boiler & would contact him in the meantime with any other relevant work. Carlton has serviced my boiler for several years now; he is professional, punctual and reasonably priced. My boiler had an elusive problem one year and he went above and beyond to identify and fix the issue, sourcing a boiler for parts and spending a good deal of time stripping it and replacing the parts one at a time. He could have taken the easy (and more expensive) option and suggested a new boiler but he provided several alternatives, gave his advice and let me decide. If you're looking for a plumber you won't regret giving Carlton a call. Carlton came out to fit a shower and immersion heater for us as we had guests staying and needed the problems sorting promptly. He was most helpful and did the job very quickly. He fitted the appointment around my times. I would definitely recommend him to anyone. Our boiler broke down and we were left with no hot water or central heating. Carlton was able to come out and fix it the same day. We were very impressed by his professional and conscientious approach to the job and were pleasantly surprised by the bill - a lot less than what others had quoted! We would highly recommend Carlton to anyone who needs a plumber. Carlton has to be best engineer in Burton, excellent customer service, prompt, trust worthy, reliable but most of all HONEST. I would recommend his services to everyone. Thanks very much to Carlton. We are new to the Burton area and after purchasing our first property, our boiler (self installed by previous owner) decided to give up, beginning of November no less. After a quick search of the internet and some reassuringly good feedback we contacted Carlton, who very kindly offered to diagnose the problem for us. After finding several faults, he temporarily got us back on our feet and advised us on the best course of action for repairs etc. I contacted him a few weeks later to completely repair the fan assembly and timer, which he did so on time and for a excellent price. I would also like to point out that he did advise me on how to complete the job for less money and that he didn\\\'t charge us for the temporary repair, kind soul that he is. I will very happily recommend him to anyone and be using him for ALL our future plumbing and gas related needs. Carlton replaced a radiator for us in a bedroom he worked very efficiently and very cleanly and had empathy to design aspects. his work was so good and reasonably priced that I actually paid him more than the price he quoted ! We cannot recommend Carlton highly enough to other people looking for a plumber. We were having problems with our boiler, Carlton came out to look at it and advised that it only needed a new fan, which he promptly ordered for us at a price cheaper than we saw online. Carlton came out after 7.30pm at night to fit the fan to ensure that we went without central heating and hot water for the least amount of time, which in the winter is no fun at all. The price Carlton charged us for the part and 2 visits including fitting represented excellent value for money. If only all other plumbers were as good as Carlton in terms of service and price. It is now our mission to tell as many people as we can about Carlton and his excellent company. Thank you Carlton, we remain extremely grateful for your wonderful service. We called Carlton for the first time. He came out very quickly. He diagnosed the problem straight away and managed to fix our boiler within the hour, without having to replace any parts. So pleased with the clean friendly service at a fantastic price. We would highly recommend Carlton to anyone. 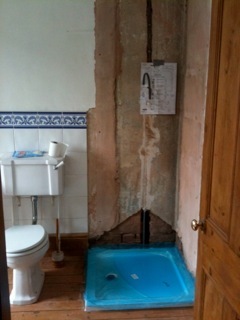 I am pleased to commend Mr Carlton Ian Grostate of Gas & Plumbing Services who carried out the work involved in taking out a bathroom suite - consisting of bath, shower, washbowl and lavatory at my home. He than installed a new suite, with enclosed shower. His workmanship is exemplary. He is punctual, courteous and trustworthy. I have no hesitation in recommending his craftsmanship to others contemplating work of this nature. I would employ him for further work, if required, in future. Carlton has fitted a new boiler and serviced our radiators for us. Wow, Carlton is extremely professional and I cannot recommend him highly enough. On time, polite, excellent communication, clean, reliable and offering the highest standard of workmanship. Better product offered than the competition at a very reasonable rate. We\'ve already booked him to do our servicing and are booking him for other jobs. Stop looking for others.......he\'s your man! Carlton turned up very promptly to fix a gas leak. He gave good advise on the best way to fix an awkward problem. He was quick and efficient and charged an honest price for the work. We will definitely use him again. Highly Recommended - Call the best, flush the rest! When Carlton came out to quote us for work required (a new boiler and cylinder and the re-siting of all relevant pipework) he came across as experienced and knowledgeable in his advice and capability to do the job. We were more than impressed with the quality of work and Carlton,s punctuality; he was never late and he showed great commitment and care in his work. Good communication throughout, his work was excellent and he went the extra mile. We would have no hesitation in using him again. 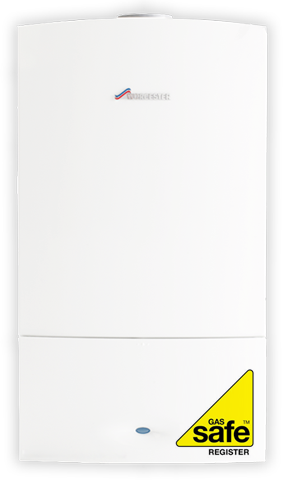 Fast, friendly and efficient all you could ever want for your boiler installation. I would highly recommend Carlton the installation and explanation of how to keep the boiler in top condition was excellent. Excellent service, reliability, and attention to detail. Pricing very reasonable. Would highly recommend Carlton. Worcester, Ideal, Baxi, British Gas, Glow-worm Boiler? We've got you covered. With over 10 years experience in the Burton area, and 4 years teaching Gas and Plumbing at Burton College, you can feel assured that you're in safe hands. The #1 reason for callouts is faulty boilers. Call today, and where possible I'll always try to see you same day. Life without heating and hot water is miserable. If you find your boiler is broken or requiring repair we can come out and see you often within the same day. Annual servicing is a great way to prolong the life of your boiler as well as give you piece of mind with regards to safety. Contact us today and we'll try to fit you in around your schedule. Servicing and repairs are thorough and prompt, and the price we quote is the price you pay. Should other faults or safety concerns be found we'll discuss with you all the options to get your system back up and running straight away. © Gas & Plumbing Services 2019. All rights reserved.